The construction of the natural gas service pipeline to the Power Plant is progressing well and is approaching its final phase. NIPSCO (Northern Indiana Public Service Company) is installing a new natural gas pipeline to campus and a metering & regulating station located north of Mason Services Center. St. Michael’s Drive will be closed from April 9 through April 13. 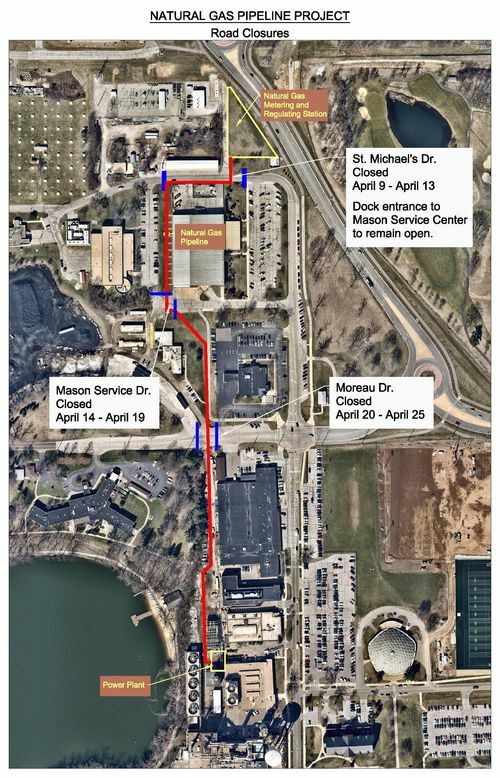 Mason Service Road will be closed from April 14 through April 19. Moreau Drive will be closed from April 20 through April 25. Originally published by Mark Hummel at evp.nd.edu on April 04, 2018.